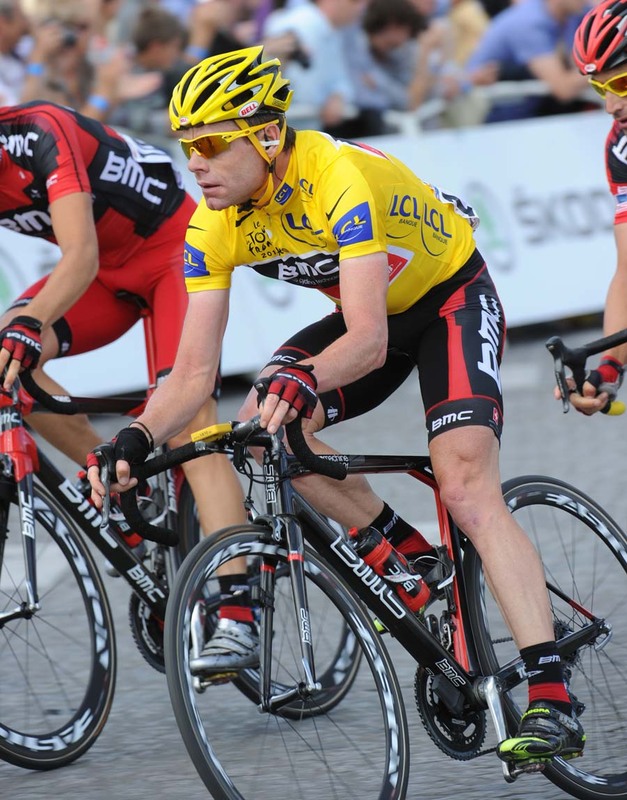 Cadel Evans (BMC) became the first Australian to win the Tour de France on Sunday, safely completing the 2011 race’s final stage to Paris. Mark Cavendish (HTC) won on the Champs Élysées to take Britain’s first Tour de France green jersey. Andy Schleck (Leopard-Trek) placed second overall for the third year running, with brother Frank Schleck (Leopard-Trek) in third. In another first – it’s the first time that two brothers have shared the Tour podium. Cavendish and his HTC-Highroad team executed a perfect final sprint to give the Manxman the victory for the third consecutive year, his fifth stage of the 2011 race and 20th Tour stage win in total. The final stage of the 2011 Tour started with a minute’s silence led by Norway’s Thor Hushovd (Garmin-Cervelo) and Edvald Boasson Hagen (Sky) in memory of those that died in the recent massacre in their home country. The traditional amble into Paris the followed, during which the riders posed for the cameras, drank Champagne and celebrated the end of three weeks’ of hard racing. The bunch stayed together until the race touched the final 40km, when Britain’s Ben Swift (Sky) launched a solo attack. Swift quickly opened up a gap and was joined by five other riders shortly afterwards – Sergio Paulinho (Radioshack), Kristjan Koren (Liquigas-Cannondale), Christophe Riblon (Ag2r), Lars Bak (HTC-Highroad) and super combativity award winner Jeremy Roy (FDJ). The break scooped up the first six places at the intermediate sprint, with Cavendish winning the bunch gallop for seventh spot. Green jersey rival Jose Rojas (Movistar) placed ninth. The escape group worked well together, and built up a lead of over 40 seconds as the race hit the final 25km. It was only in the final 12km that the gap started to slip to under 30 seconds, as the sprinters’ teams hit the front of the peloton. As the peloton neared on the final lap, all but Swift and Bak sat up the duo maintaining a slim eight second gap. Swift was dropped by Bak as his HTC-Highroad team-mates hit the front of the bunch for Cavendish. Bak then continued solo for a short while but both he and Swift were swept up, bringing the race together in the final two kilometres. HTC-Highroad then assembled at the front of the bunch, winding up the pace to nullify any potential last-ditch attacks. Mark Renshaw delivered Cavendish into the final 500 metres, with Boasson Hagen on his wheel. Rojas was nowhere to be seen. For the third year in a row, no one could get close to Cavendish and he sat up to kiss the green jersey as he crossed the line, bringing the 2011 Tour to a close. Philippe Gilbert (Omega Pharma-Lotto) wearing the yellow, green and polka-dot jerseys in succession after lighting up the opening stage of the race. The opening week’s crashes that wiped out several of the big overall contenders, including Britain’s Bradley Wiggins (Sky). Norway winning four stages, two apiece for world champion Thor Hushovd (Garmin-Cervelo) and Edvald Boasson Hagen (Sky) – the latter also took British squad Sky’s first Tour win. The horror incident that saw Juan Antonio Flecha (Sky) hit by a French TV car and subsequently knocking Johnny Hoogerland (Vacansoleil) through a barbed wire fence leaving him requiring 33 stitches – and then him carrying on in the race. 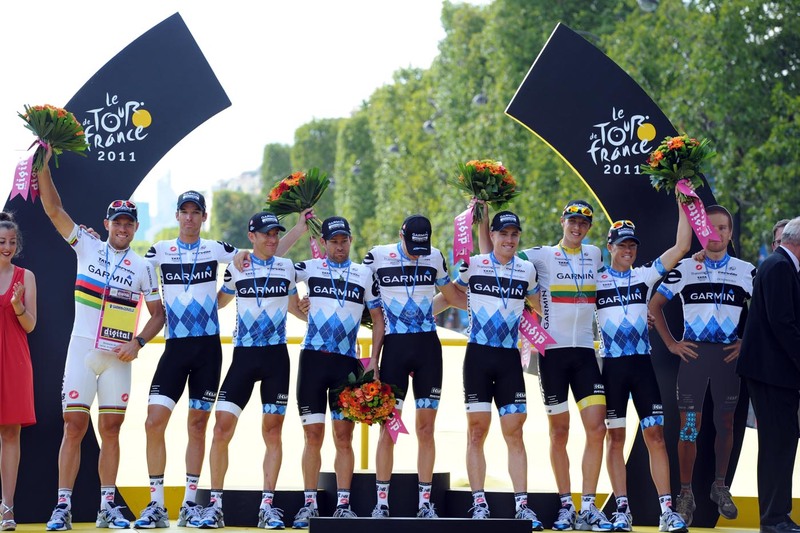 The Garmin team winning its first stage of the Tour de France, and then opening the floodgates with four wins. And, of course, Thomas Voeckler (Europcar) valiantly defending his overall lead against the odds through the Pyrenees and into the Alps. Seldom has the yellow jersey been defended with such vigour and worn with such pride – not, perhaps, since the last time Voeckler wore it in 2004. 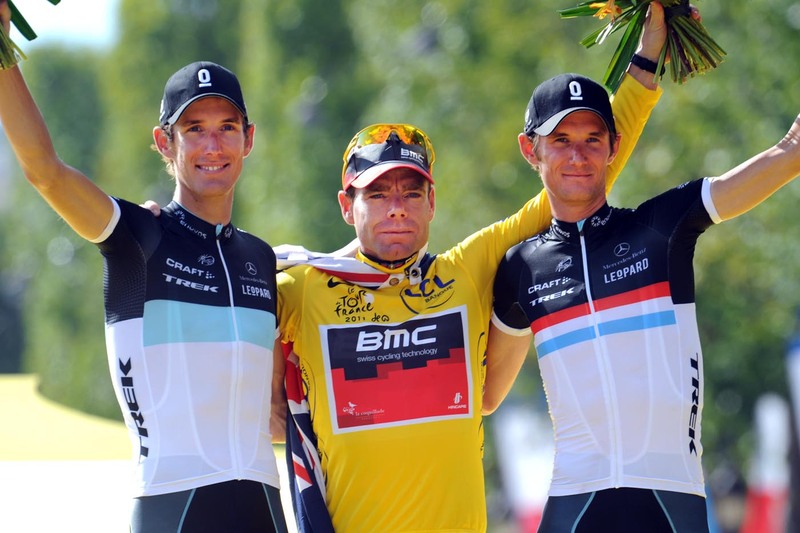 Leopard-Trek may have left the race without the yellow jersey, but the squad’s mantra of ‘True Racing’ summed up the 2011 Tour de France perfectly.